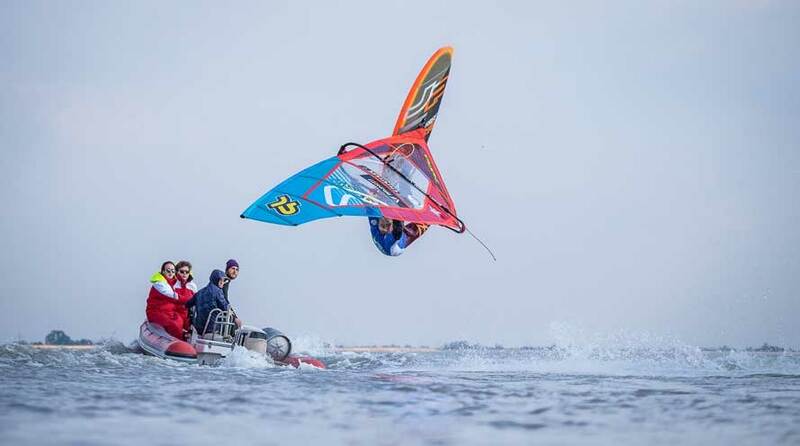 brought interesting features to the usual racing formats in funboard windsurfing. Competitors quickly flew over the course area in a smooth, elevated, forward moving pace; 1 race took less than 8minutes. 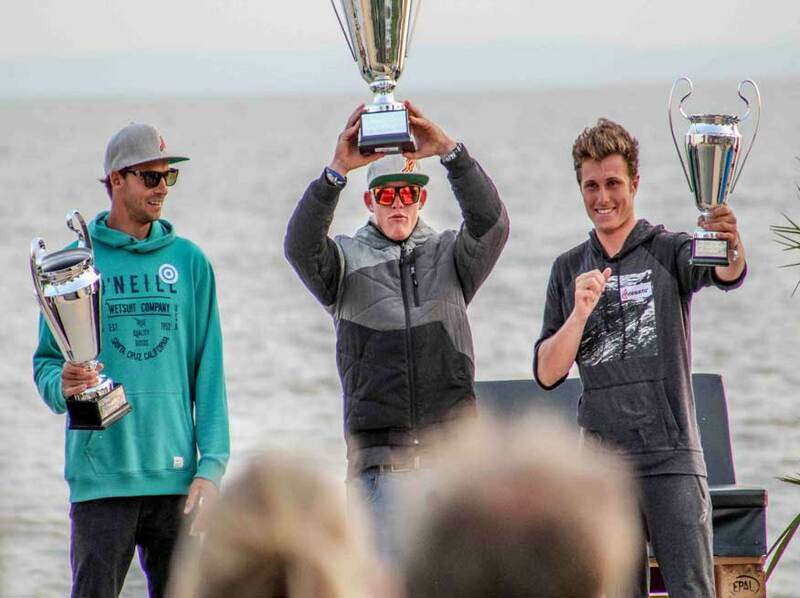 Lake Neusiedl not only attracted new faces to the IFCA racing scene but a few familiar ones such as local hero Marco Lang, allrounder Amado Vrieswijk from Bonaire, and the 2 times IFCA Slalom World Champion Vincent Langer from Germany. And a 3rd with only the final heats unaccomplished due to ultra light winds. Luka Mratovic, from Croatia, who is a new face on the slalom scene is one who sailed well among the many new new faces and proudly took the 2nd position in the first Slalom Grand Prix of the 2017 Series. 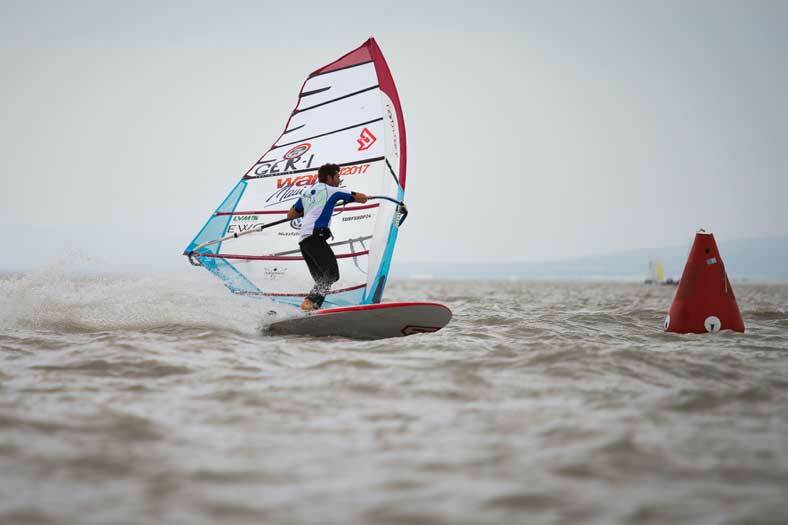 The conditions were tricky for both the water crew and the competitors.. with a few shifts, big gusts and empty wind lulls, .. few heat cancellations and several postponements until the last hours of the scheduled program for the Slalom Windsurfing discipline. Jimmy Thieme who recently became the IFCA Youth Slalom Vice World Champion in Almanarre, France, was supported and guided by one of windsurfing's legends - his Father " Eric Thieme". The Young French racer was focused, dedicated and has a bright future ahead of him, with his great skills and commitment we are sure to see more of this young man in the near future. Not too far behind was the young Dutch competitor Enio Dal Pont who possibly could have brought changes to the overall rankings if the 3rd elimination had been completed but unfortunately even with a discard a 4th position was a great achievement for his first Grand Prix Slalom experience. The best German Slalom competitor simply came to compete in his best form after a come-back from a previous injury during the winter and hours of training on and off the water. He accomplished his mission by taking victory in 2 eliminations and winning the first stop of the Grand Prix Series in the Slalom discipline. 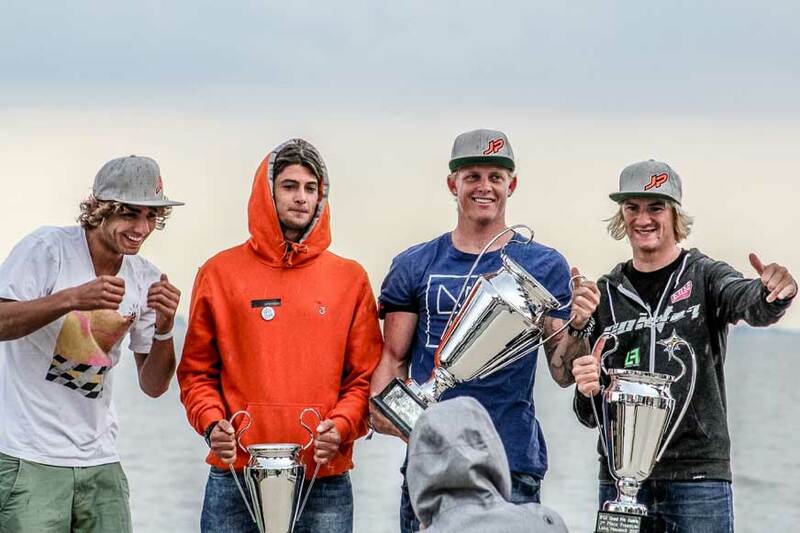 The hope finally dies: the last day at this year's IFCA Grand Prix Austria | Surf World Cup in Neusiedl am See also brought a result in the men's freestyle competition. 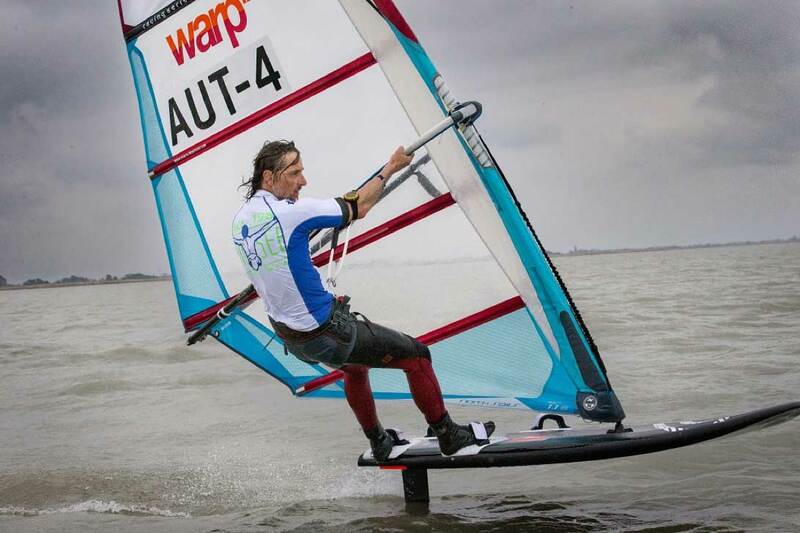 After three days without wind, the reigning World Cup runners-up and the number one in the competition, Amado Vrieswijk from Bonaire, took charge in all his heats and thus secured the freestyle victory at Lake Neusiedler after his first Wind Foiling Podium. Vice-World Champion Amado Vrieswijk wins the freestyle competition, Yentel Caers (BEL) and Jacopo Testa (ITA) in second and third place. 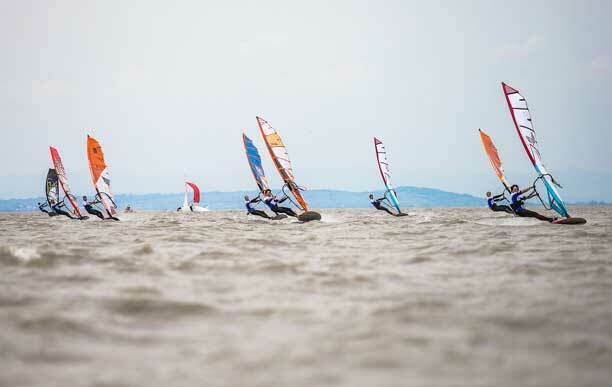 Difficult conditions with shifting winds on the final day made it difficult for the race management to complete the single elimination in the freestyle discipline. 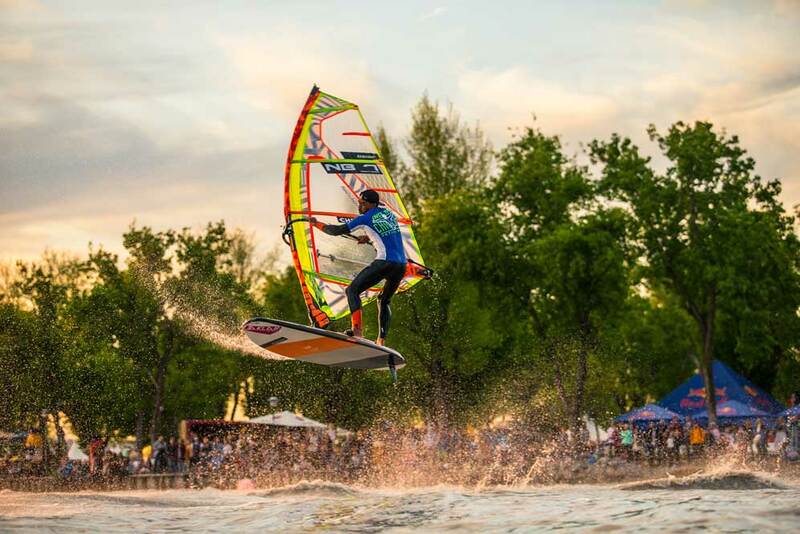 After about three hours all the necessary heats were sailed and the winner could be announced at the first IFCA Grand Prix Austria | Surf World Cup in Neusiedl am See. Amado Vrieswijk from Bonaire - Vice-World Champion in Freestyle on the World Tour - triumphed in the final heat against Yentel Caers from Belgium with better scoring points for nicely rotated maneuvers in the final, the winner of the CHIEMSEE Tow-In contest, Sam Esteve, the young Frenchman, battled for the third place on the podium against Jacopo Testa from Italy. The Italian was the better contender at the end and completes the podium in third position. 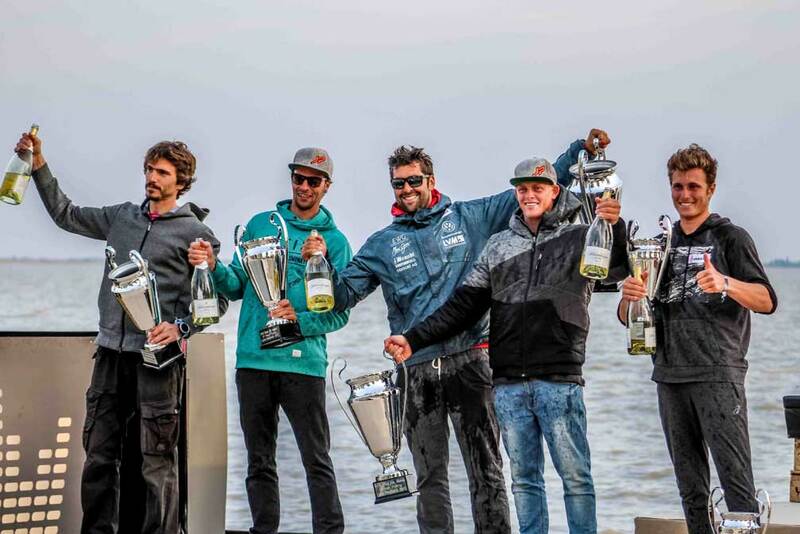 The first Grand Prix Series | Surf World Cup in Neusiedl am See successfully produced results in Foiling, Slalom and the Freestyle disciplines.